A few months after it was first introduced, we finally got our hold of the Cherry Mobile Flare S7, a budget phone with promising specs. To recall, Flare S6 is one of the best for the price during its time. 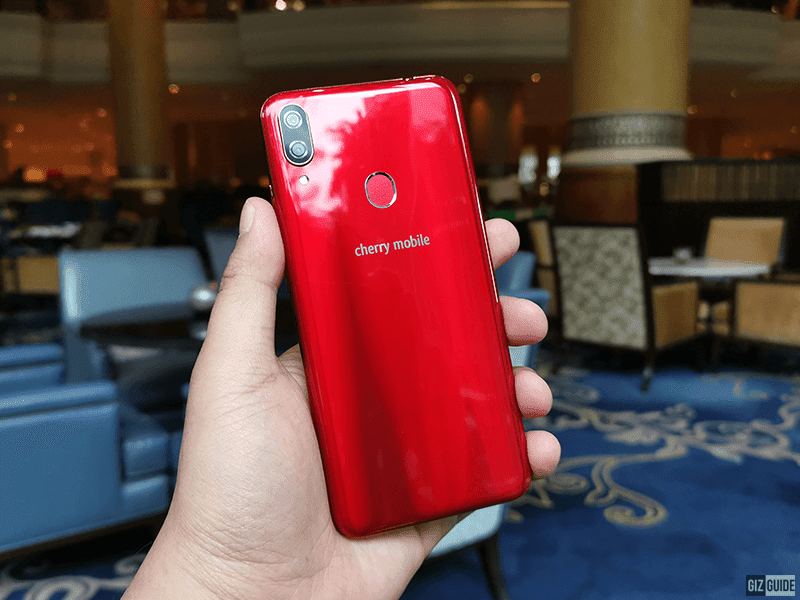 Let's see if Cherry Mobile can duplicate its success. 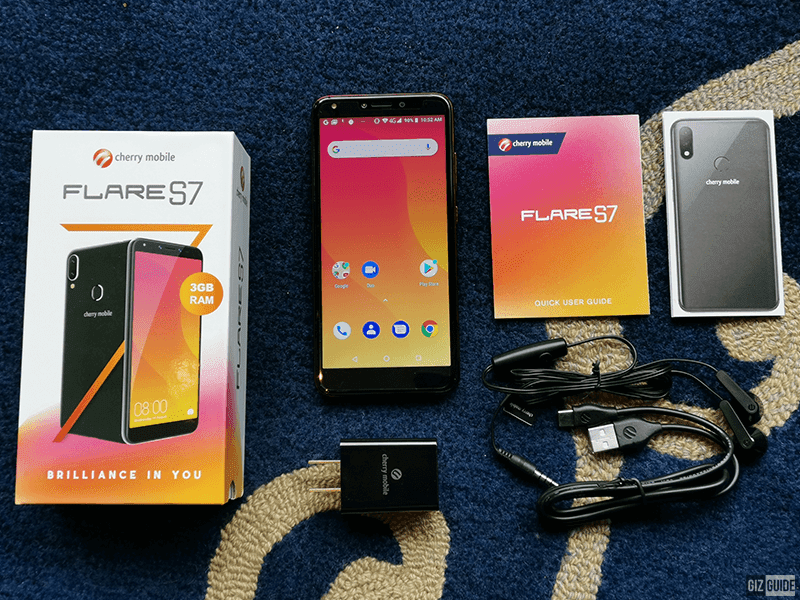 The Flare S7 comes with a small 5V/1.2A USB wall charger, USB-A to USB-C data/charging cable, earphones with mic, pre-installed screen protector, and the paper documents. It has no case included inside just like other budget phones. 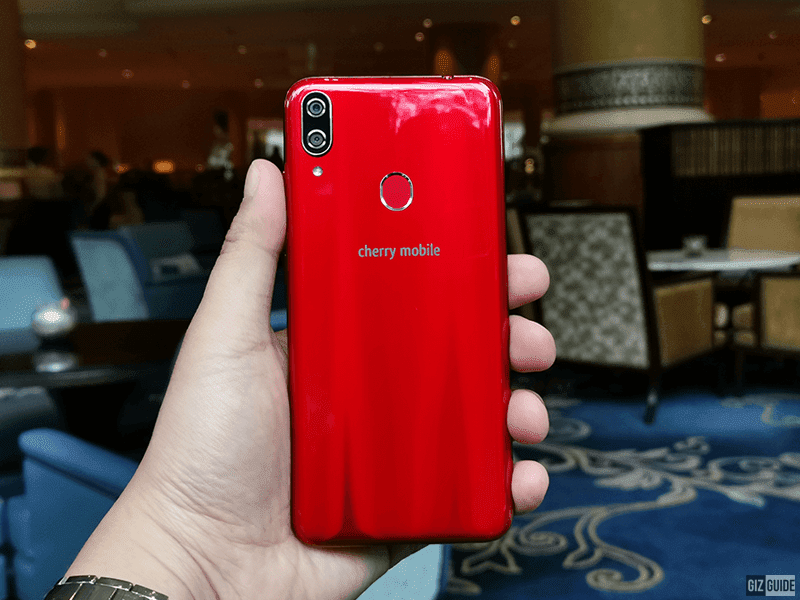 As expected, Cherry Mobile's choice of material for this budget smartphone is mostly plastic. The glossy removable backplate is plastic and the frame is plastic as well. In front, it has a 2.5D curved glass. There's no mention of glass protection though. But it is fine, this is a well machined smartphone especially at this price point. In terms of design, this phone is a stunner on a budget! The 3D-like curved back design looks extra sleek for an affordable phone. I also like that it has this cool type of glossy finish with laser-like lines depending on the angle you are looking at. Beautiful glossy design for a budget phone! 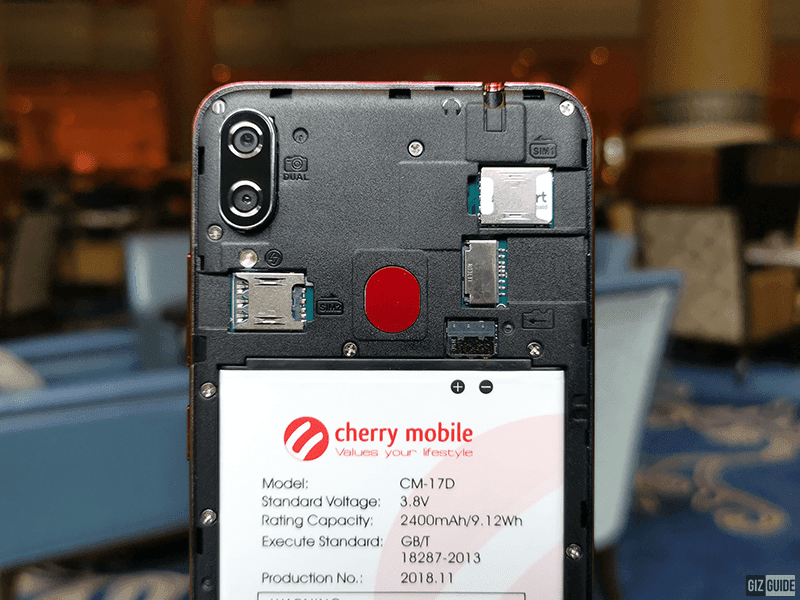 When you open the removable backplate of the phone, you will see the battery, dual nano SIM slots, and the microSD slot. 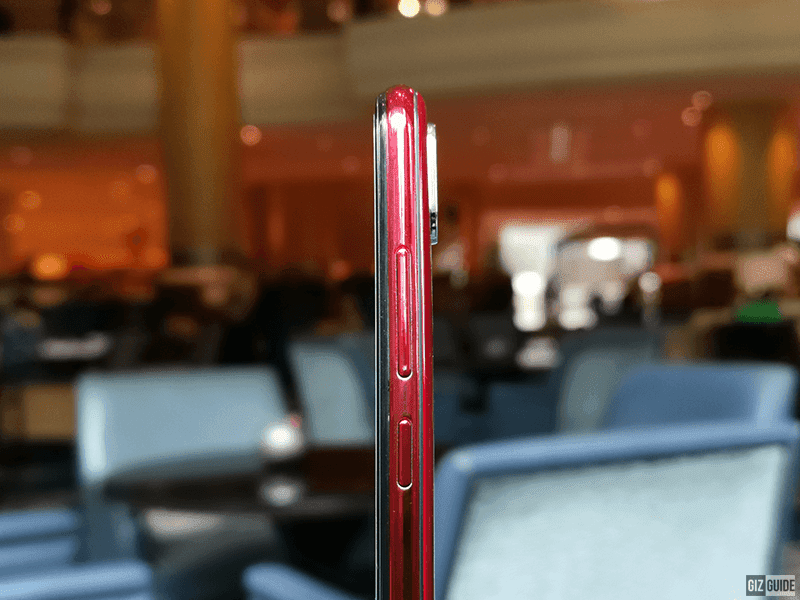 You will also find the protruding vertically aligned dual-camera setup with LED at the back. In the middle behind, you will also see that it has a fingerprint sensor. Up front, it has the 5.5-inch 2.5D curved screen with 18:9 screen aspect ratio. 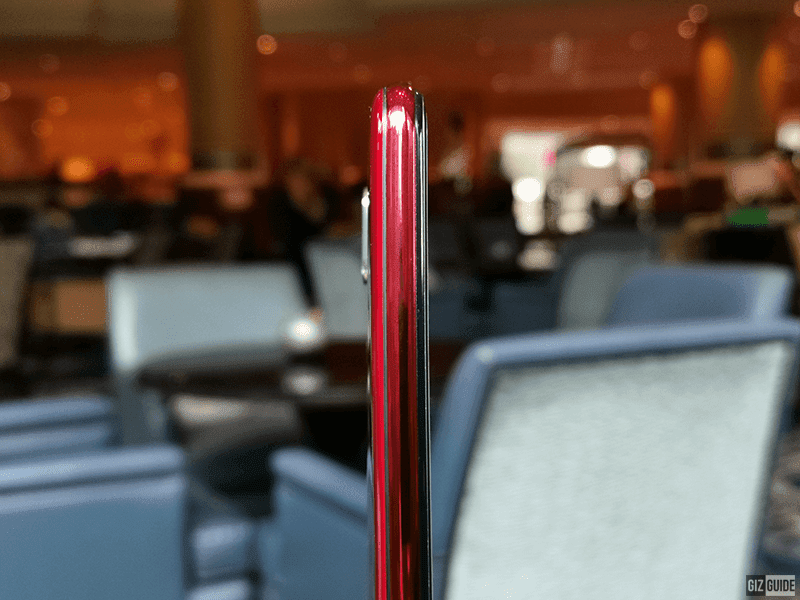 It is a tall type of screen with slim side bezels. Top and chin bezels are still quite big though. On the top bezel, you will find the softlight LED flash, dual-camera setup for selfies, earpiece, and sensors. The phone is quite handy and small. It measures at just 150.3 x 72 x 9.2 mm. 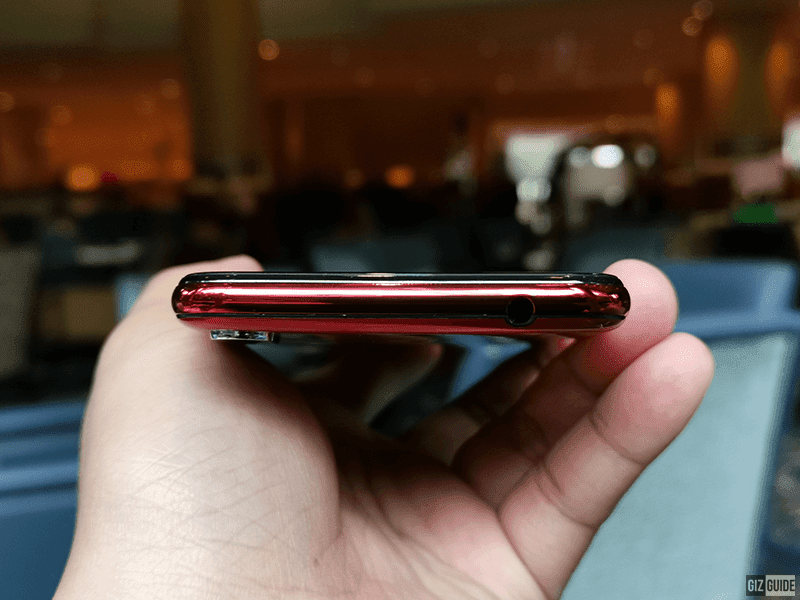 On the top, it has the standard 3.5mm headphone jack slot. 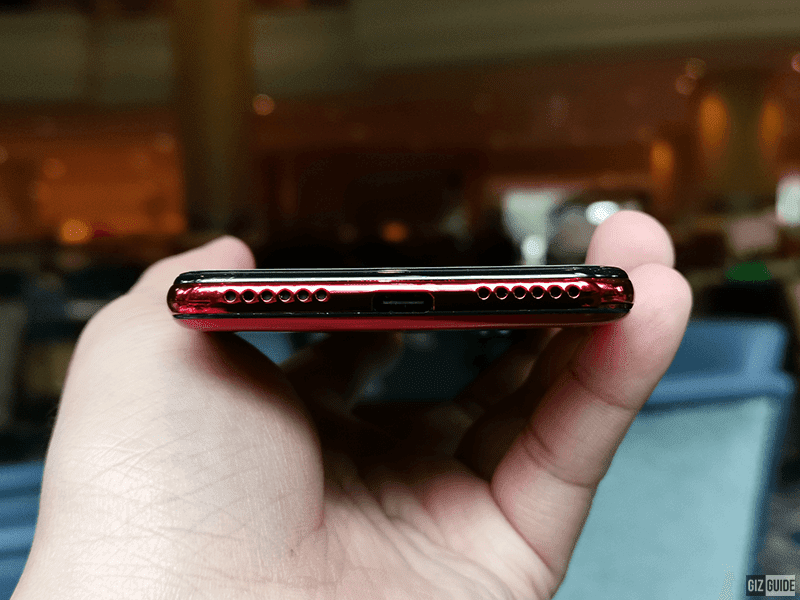 At the bottom, there's a speaker grill, microphone, and USB-C port. Again, it is one of the most affordable with a USB-C data/charging port. There's nothing at left. At right, you'll find the power button and volume rocker. As a whole, this is an impressive phone for the price. One handed operation is even possible. 1. Flare S7 is neat and sleek looking device for the price. The screen is not too small, but not too big. The 5.5-inch panel has a decent HD+ 1440 x 720 resolution as well. It has respectable looking colors and strong brightness. 2. Under the hood, it is an upgrade versus the Flare S6. It uses the MT6739WA 64-bit quad-core chip, the upgrade of MT6737. It also has the PowerVR GE8100 GPU, up to 3GB RAM, and 16GB expandable storage. The battery capacity is a bit lower though. From 2,600mAh, it is down to 2,400mAh. But, let's see. Maybe Cherry has some nice battery optimizations for this device. I'm not sure too if its USB-C port supports some sort of fast charging. We will test in the next few days. By the way, it also has 700MHz 4G LTE support. 3. 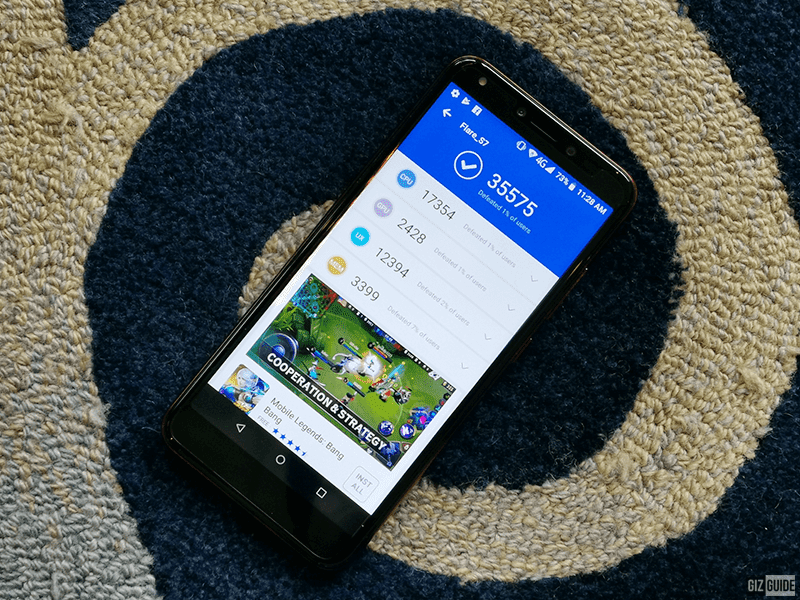 Flare S7 runs with a stock looking Android 8.1 Oreo OS. It looks neat with minimal bloats. Swiping and typing experience is smooth. Opening of social media apps like Facebook has decent speed. The custom Cherry camera app lags a little though. 4. 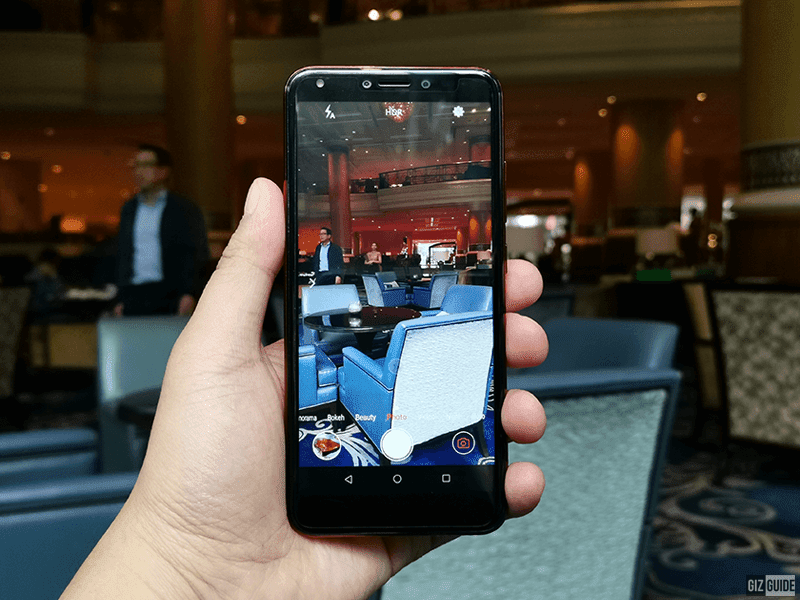 This phone also has four cameras in total. There's two at the back and two more for selfies. The camera specs are identical as well. It has a pair of 13MP f/2.4 OV12830+ 2MP GC2385 sensors. The custom Cherry camera app is feature-rich. It comes with HDR, bokeh, night, and monochrome modes. 5. It also has a snappy fingerprint scanner at the back. You will also find an LED indicator on top. Note: We will add camera samples tomorrow. This budget phone has a strong potential to be one of the best budget phones under PHP 5K. There are very few with this type of design and overall features at this price point. We will further test it in the next few days. We will keep you posted. See you in our full review.